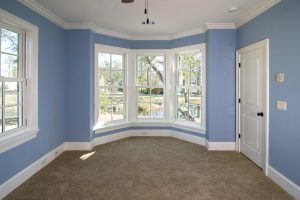 Are you looking for experienced window companies serving in Fort Walton Beach, Florida, or a nearby city? If so, then your search ends here with Majors Home Improvement. For the past 20 years, we have been the local home improvement authority, and we install windows that are energy efficient and highly durable. Our Majors Select™ Vinyl Windows come in all of the most popular styles, including double hung, storm, bay, slider, casement, picture, and more. Made from vinyl, these windows are resistant to rotting, rusting, cracking, blistering, or other deterioration. And, thanks to having multiple chambers and insulated glass, they offer incredible energy efficiency to ensure your home maintains an optimal indoor temperature without relying heavily on your HVAC system. What’s more, unlike other window companies, we’re proud to back our windows with a double lifetime warranty so you can have peace of mind knowing your investment is fully protected. If you’d like to work with one of the premier window companies in the Fort Walton Beach, FL, area, then contact Majors Home Improvement today.